We’ve all experienced how we like to shop when we’re feeling down. 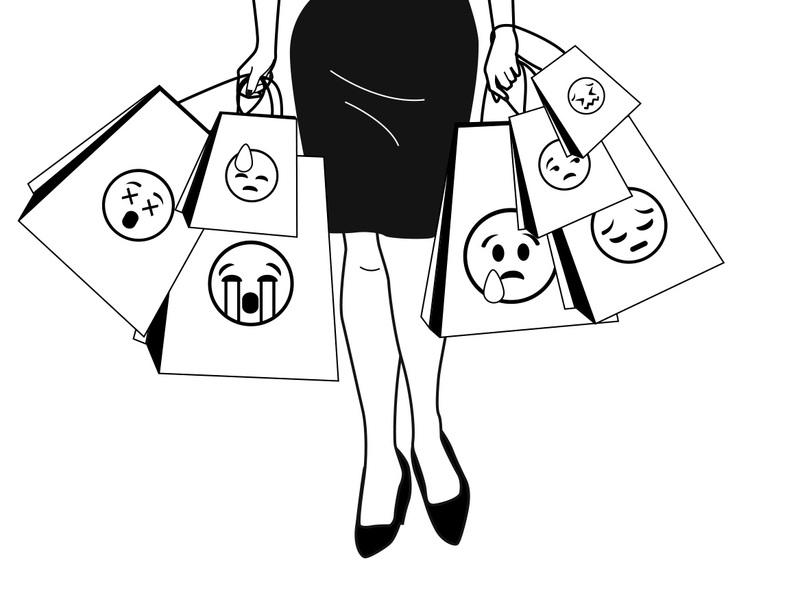 While that says a lot about our buying behaviour, we never imagined that emotions played a huge role in our selling behaviour as well. This phenomenon is explained by an interesting study below. Behavioural scientist Jennifer Lerner and her colleagues induced either sadness or no emotion in participants by having them view different film clips. Those assigned to the sadness-inducing condition watched a movie clip from The Champ, which featured the death of a boy’s mentor; following that, they were asked to write a brief paragraph about how they’d feel if they’d been in the situation themselves. Those in the no-emotion condition watched an emotionally neutral film clip featuring fish and then wrote about their day-to-day activities. Afterward, half the participants were asked to set a price to sell some highlighters and the other half were asked to set a price to buy the same highlighters. Turned out that sad buyers were willing to purchase the item for around 30% more than emotionally neutral buyers. Here’s the interesting part. Sad sellers were willing to part with the item for around 33% less than emotionally neutral sellers! Researchers also found that the participants had no idea that they had been so deeply affected by the residual feelings of sadness. Behavioural scientists Christopher Hsee and Yuval Rottenstrich argue further that in emotionally charged situations we become less sensitive to the magnitude of numbers – we are more likely to pay attention to the simple presence or absence of an event. We get persuaded by offers when we shouldn’t be. Like when we’re got our eyes set on a new beauty (car) and if the difference between the price of the car and what we’re willing to pay for it is say Rs. 3 lakh – a good salesperson will manage to persuade us by throwing in one or two additional items free like a mirror lock or steering lock, whose value is realistically nowhere near Rs. 3 lakhs. Lesson for negotiations, buying and selling decisions – examine how you feel and put off the decision until you’re feeling emotionally neutral.